For the last three days, French and British divisions have been throwing themselves at German trenches, gaining no ground at great cost. 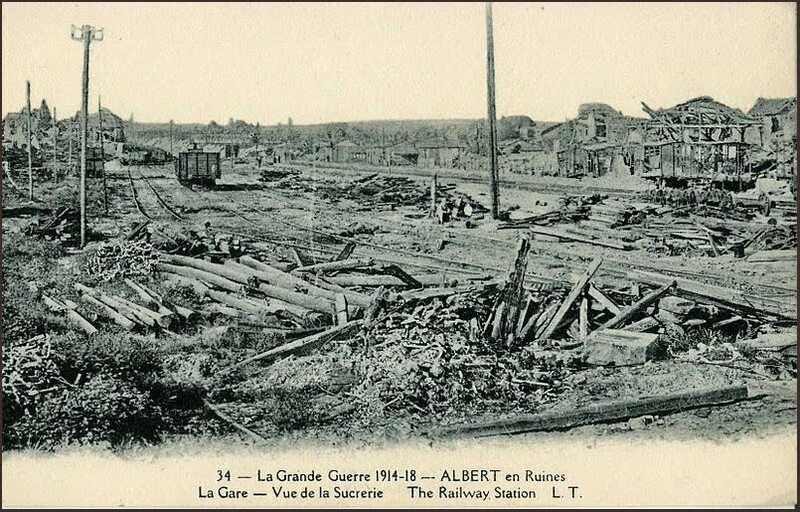 French troops have been trying to outflank the Imperial German Army above the Oise and Somme rivers in the Paris Basin, resulting in encounter battles at Picardy yesterday and in the outskirts of Albert today, where French ‘Territorial’ (reserve) divisions give way before German reserve divisions. That this battle happens between reserve formations points to the fact that all of these armies are running out of trained, ready soldiers. Every combatant is still inducting and training volunteers, but the initial surge of mobilization has ended. After falling back over four days, France is able to hold a line west of Roye. Exhausted, both sides dig in at the first lull in battle, extending the emerging Western Front a little farther while other armies race to outflank the new positions, meet with bloody energy, and dig in again. This process will repeat all the way to the Channel coast. When the fighting pauses here, Albert is right in the middle of it — and remains a part of the battlefield for the next four years. Across northern France, a ‘Red Zone’ of destruction is ripping up the infrastructure of human and animal habitation. It will twitch back and forth slowly over the terrain like a winding river of mud and blood whose banks shift with the season, preventing all repair or recovery. 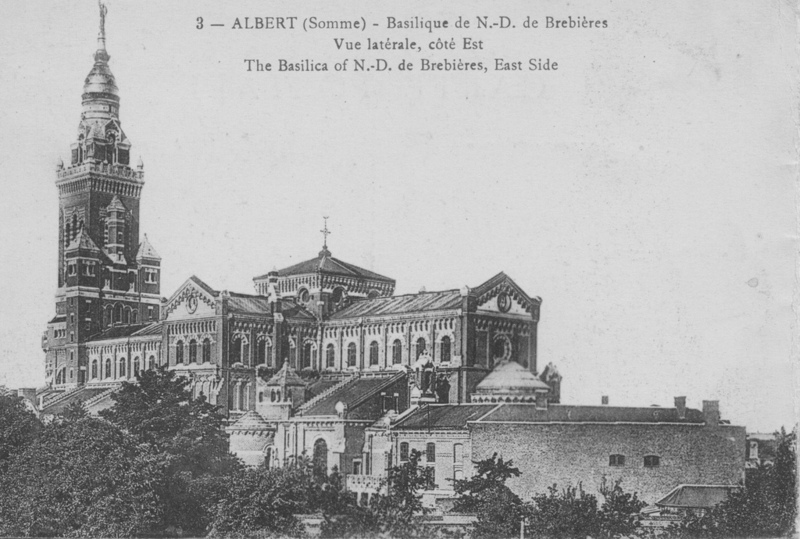 Like many scenes of devastation along the Western Front, Albert sees more than one battle — and its center changes hands more than once, too. 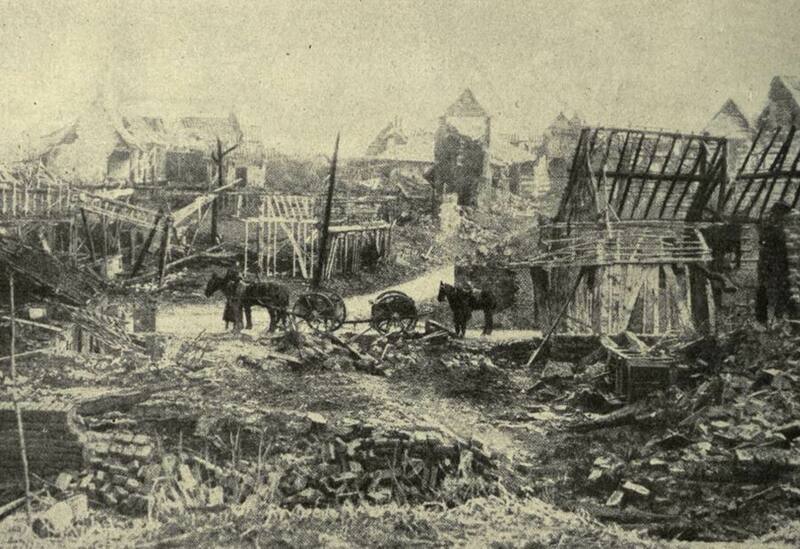 The retreating French armies of August tore up as many railroad tracks as possible while retreating from what is now German-occupied territory. 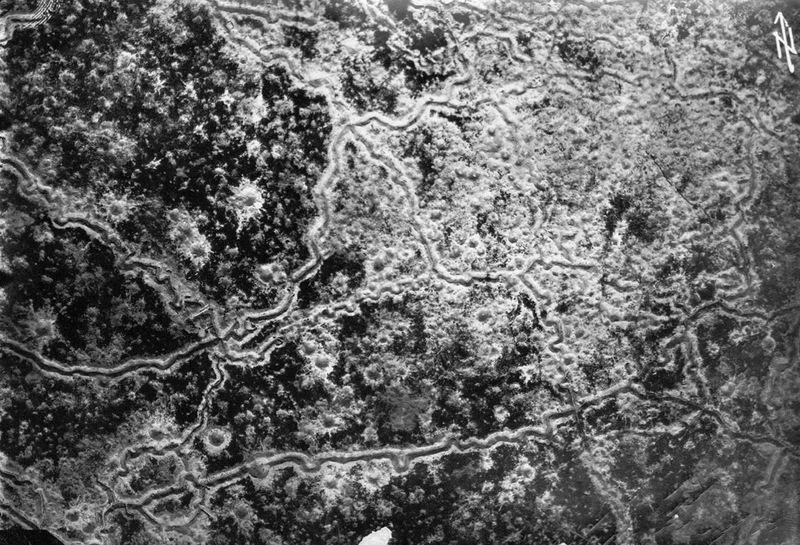 These tracks have required repair by pioneer battalions that are also needed to dig trenches, and they generally run in the wrong direction for outflanking the allies. By contrast, French-controlled rails are still intact and run north through areas under their control. The allies do not win the ‘Race to the Sea,’ but they are able to deny Germany a victory. 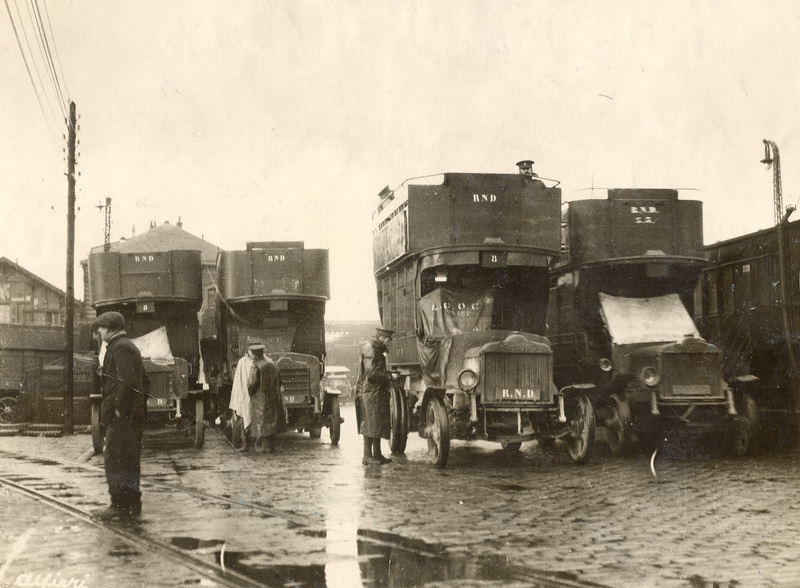 During the Battle of the Marne, the taxis of Paris proved that motor vehicles could move and supply armies much faster than horse-drawn wagons. In the days to come, Sir John French pulls his troops from their positions above the Aisne and brings them north to the Channel coast in a bid to race around the right end of the German line. Waiting for them are scores of London’s distinctive double-decker buses that have been converted into troop transports. 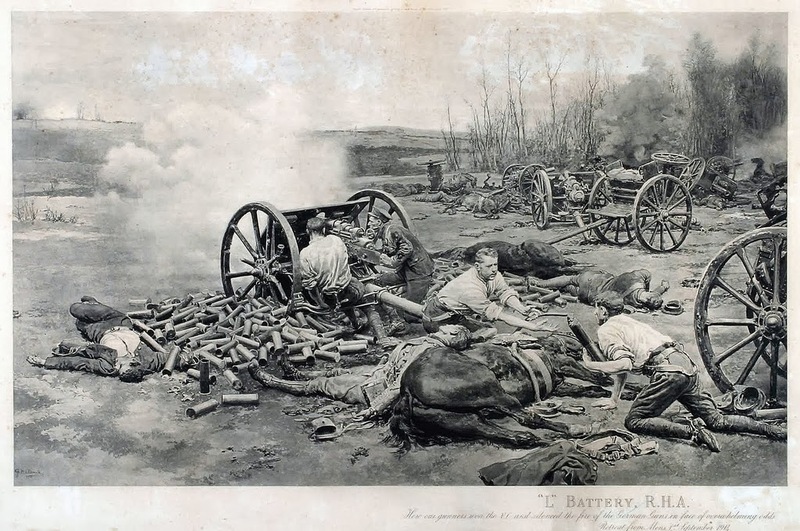 Motorized infantry is a completely new phenomenon, however, and the combatants all lack the industrial base necessary to motorize more than one or two of their many divisions; internal combustion will not completely replace the horse for more than thirty years. Airplanes can find enemy troop concentrations, but they still can’t bring friendly troops to a fight. 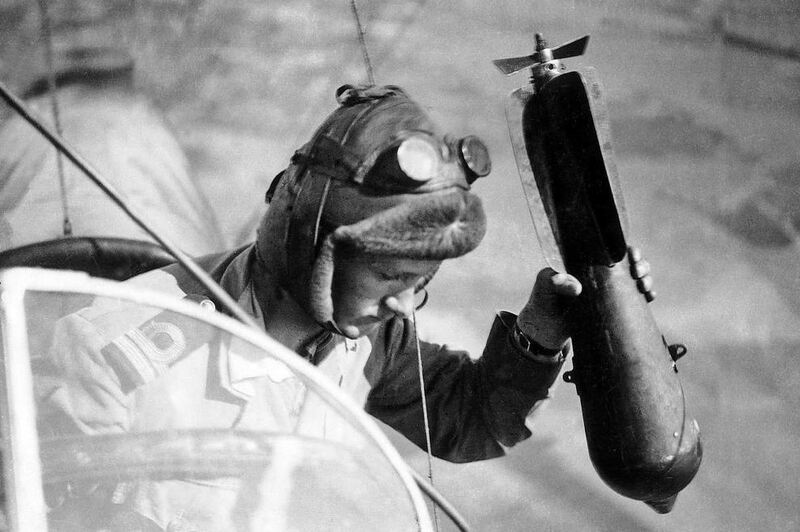 The Great War bogs down not in spite of all these new technologies that were supposed to bring it to a rapid conclusion, but because of them. Most of these innovations are still too new, too fragile, and too uncommon to support the offensive. A bus cannot cross wrecked, rubble-strewn avenues, and a train without tracks is useless. And however they arrive at a battle — by rail, road, or parachute — the great mass of men must still fight on foot. The Western Front is not the only place where trench warfare is breaking out. 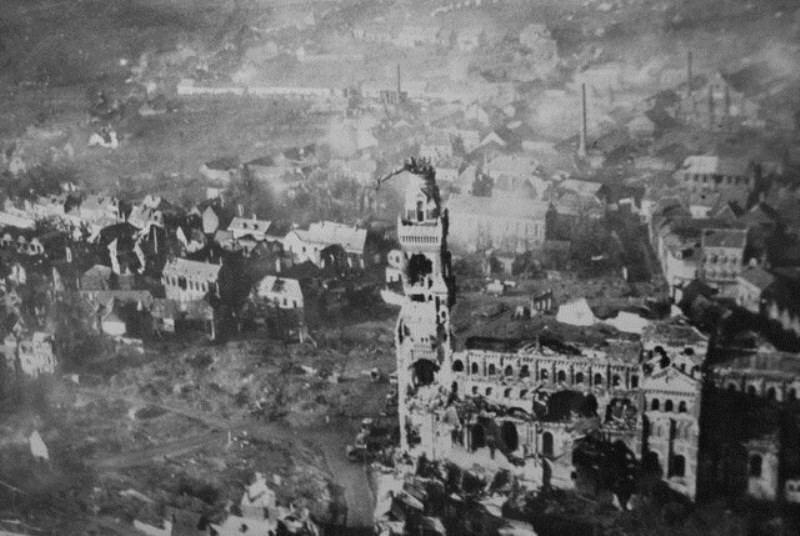 Russian troops have surrounded the Austrian fortress-city of Przemysl, and the Hapsburg armies are falling back into trenches in the Carpathian Mountains. Serb and Austrian armies are digging in for a protracted fight that will only diminish when the Serbs run out of ammunition. Even in Belgium, the defenders of Antwerp are about to make their third and final sortie against German reserve units besieging their city by crossing over friendly trenches. 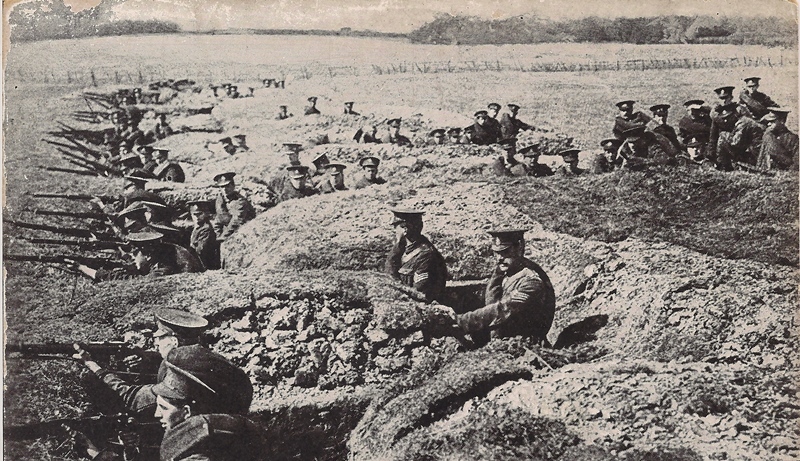 Trench warfare is breaking out everywhere, all at once, as though everyone is equally exhausted by the long marches and the bloody bayonet charges. This ground will become especially infamous in 1916 when British war planners decide to turn the quiet sector above the Somme River into a proving ground for Lord Kitchener’s new divisions, now being inducted into service. Today’s action lays the groundwork for one of the most infamous battles of the war. By then, very little will be left of the British Expeditionary Force that is on the move today.